Questions like this could hold you back or delay you from starting your investment adventure. Luckily, there are a number of free resources available to give you the ability to independently research investment-related topics. No matter how you prefer to consumer information, you will most likely find a resource to fit your preferences! One way that many people like to consumer information is through podcasts. In fact, 51% of the U.S. population has listened to a podcast. There are hundreds of podcast available on every topic you can think of—including investing. Most podcasts are anywhere from 20 minutes to an hour and average about 30-40 minutes. This makes it easy for you to take in information while you’re on your daily commute, at the gym, or even cleaning. Podcasts will give you access to first-hand experiences and advice from industry experts, making this a great source to learn and grow. 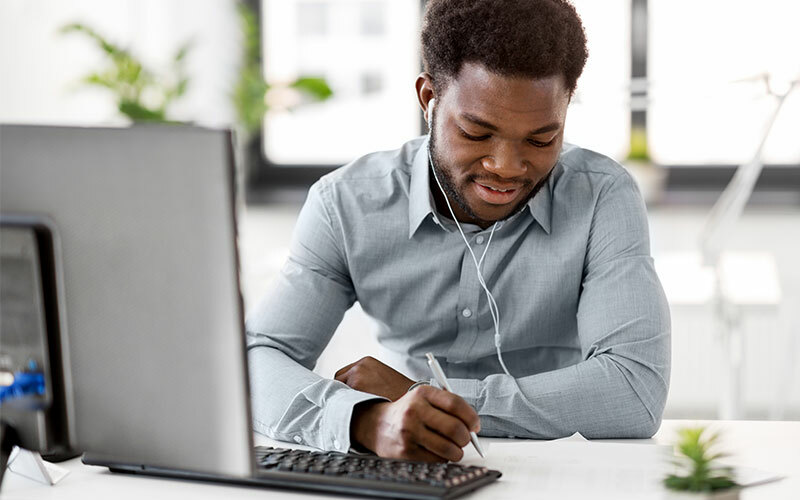 We’ve narrowed down a short list of podcasts that are great for new investors to help you feel more comfortable and confident about diving into the world of investing. InvestED is a podcast hosted by hedge fund manager, Phil Town and his daughter, Danielle Town. The podcast provides successful investment strategies, covers current market events, and delivers valuable information in a friendly way. Information is always backed up with intriguing examples, full of data and insights—making it easy to understand! There are already hundreds of episodes available, with new episodes releasing weekly. *InvestED is available on Acast, PodBean, and Soundcloud, on every mobile device. The Index Investing Show is hosted by famous investor and financial writer, Ron DeLegge. Since 2005, DeLegge has been teaching people the ins and outs of successful investing. He has analyzed more than $200 million in retirement portfolios and keeps listeners engaged by also teaching finance classes online. Listeners can catch live episodes every Sunday, or listen to the hundreds of episodes already available! *The Index Investing Show is available on iTunes, in SoundCloud, and as an RSS feed. Value Investing Podcast is hosted by Jim Kim, a financial expert and investor. This podcast teaches the knowledge and disciple needed to bring financial success to your life. You’ll hear about various successful investing approaches and life examples from world-class investors like Peter Lynch and Warren Buffet. This podcast is on the newer side but releases new episodes every Sunday. If you’re looking to be a wise and long-term investor, you’ll enjoy this podcast! *Listen on Android or iOS devices via Stitcher or iTunes. Money for the Rest of Us offers advice to help people become better and more confidence investors. Financial expert and host David Stein walks listeners through the process of wealth building and how to take control of your financial future. Stein uses stories, analogies, and easy-to-understand examples to teach about money, investing, and the economy. With over 10 million downloads, it’s safe to say a lot of listeners have found this podcast to be incredibly valuable. Stacking Benjamins is an award-winning podcast that focuses on helping others build wealth. Hosted by Joe Saul-Sehy and characters known as the Other Guy and crazy Neighbor Doug, this podcast is all about financial education with a twist! This comedic take on finances offers informative and entertaining interviews on various financial topics, including investing and creating multiple income streams. If you ready to take your investing to the next step, reach out to one of our experts today!